Medical Thread Lift is an excellent and effective cosmetic technique to lift and tighten sagging skin tissues Thread lift therapy to control and improve tissue stimulation and muscle contraction. The medial PDO Thread are made of a material called Polydioxanone (PDO). PDO has over a decade long safety track record in surgery and wound closure. PDO has been used for about 10 years in orthopedic and cardiovascular surgery. The PDO threads can very effectively strengthen the contour of the face, reduce roundness, lift sagging skin in the cheeks, jowls, neck and also produce an excellent eyebrow lift. Gold Thread Face Lift trigger the skins rejuvenation process producing new collagen, which helps to lift and tighten the skin, smooth the wrinkles, shrink the pores and enhance the volume, giving a more youthful appearance to your skin. Skin tightening Pdo Thread are dissolved slowly and predictably, and are completely absorbed within 180- 240 days. The insertion of Thread is minimally invasive and almost painless. Skin Tightening Collagen Thread offers easy and safe way for bringing the youth and beauty back. 4. Reducing the nose tip ala for a smaller looking nose tip. 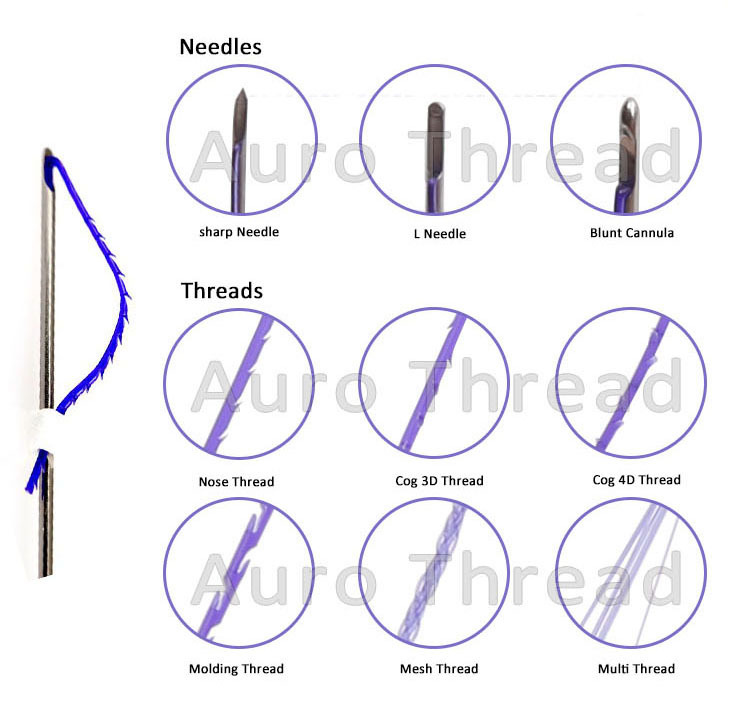 What are the advantages of a Pdo Absorbable Suture Material thread? The great thing about a Mini Face Lift is that it offers quick recovery together with excellent results. This procedure requires a minimum amount of non-invasive surgery and leaves no scarring. Local anaesthetic is all that is needed and there is no hospital stay either. Another good factor about the Thread Lift for Face is that it is much more affordable than a regular lift, and the results are long lasting. If you are looking for a quick and effective solution to a range of aging problems then a pdo thread is the perfect solution. For Sagging Facial Skin : It stimulate SMAS layer to tighten the slacking skin and simultaneously promotes regeneration of the skin to activate generation of skin proteins ( Collagen , Elastin). For Facial Wrinkles : By the strong Thread Lift effect , skin regeneration and termination of line adhension , it is very effective to resolve deep wrinkle, wrinkles, forehead wrinkles, crow's feet. For Neck Wrinkles : It stops the wrinkle adhesion around the neck mostly developed by aging to rejuvenate skin by pdo thread lift and skin regeneration . 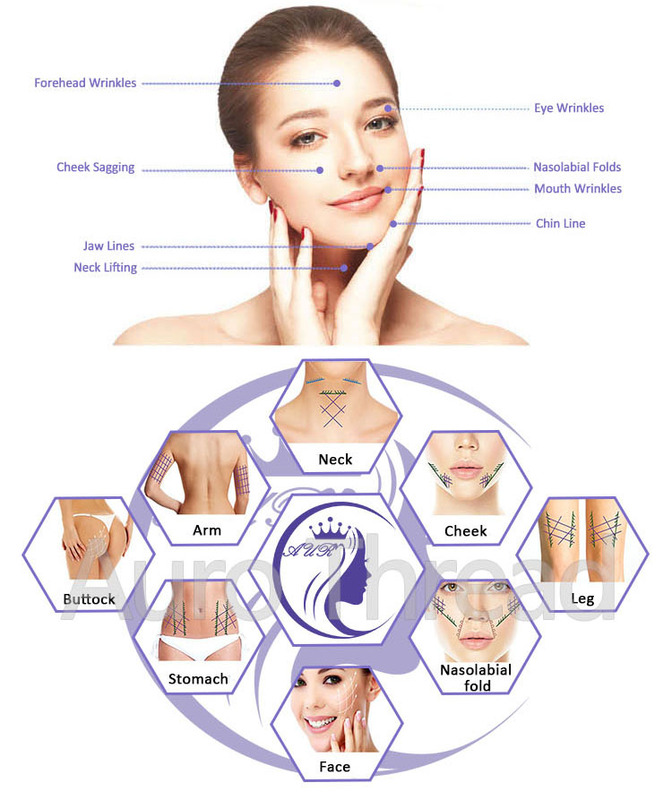 For V Line : By strong SMAS layer lifting effects with Pdo Face Lifting Thread, it will provide natural V line without saggy skin. 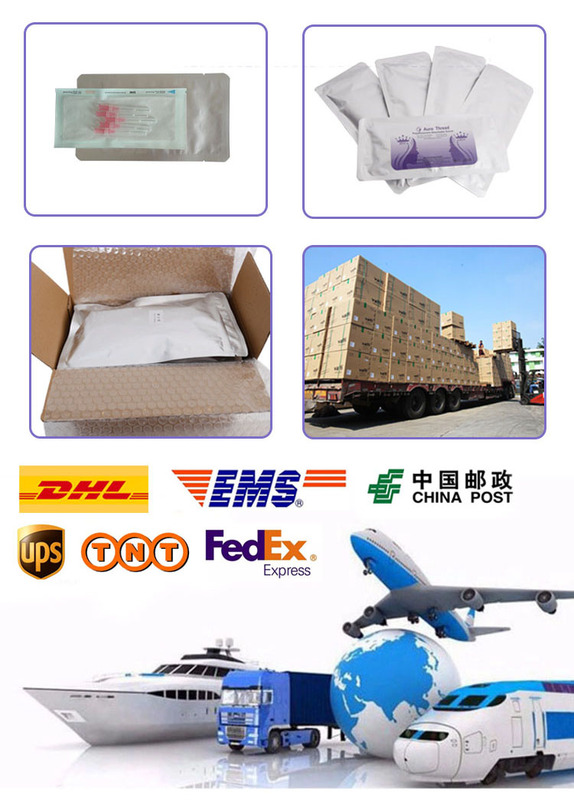 7*24 hours online : You inquiry related to our products or prices will be replied within 24 hours. Short lead time: Well-trained and experienced staffs to answer all your inquires. OEM & ODM: any your own design lightings we can help you to design and put into product. Small order available: The MOQ just one bag. Looking for ideal Medical Thread Lift Manufacturer & supplier ? We have a wide selection at great prices to help you get creative. All the Medical Cog Thread Lift are quality guaranteed. 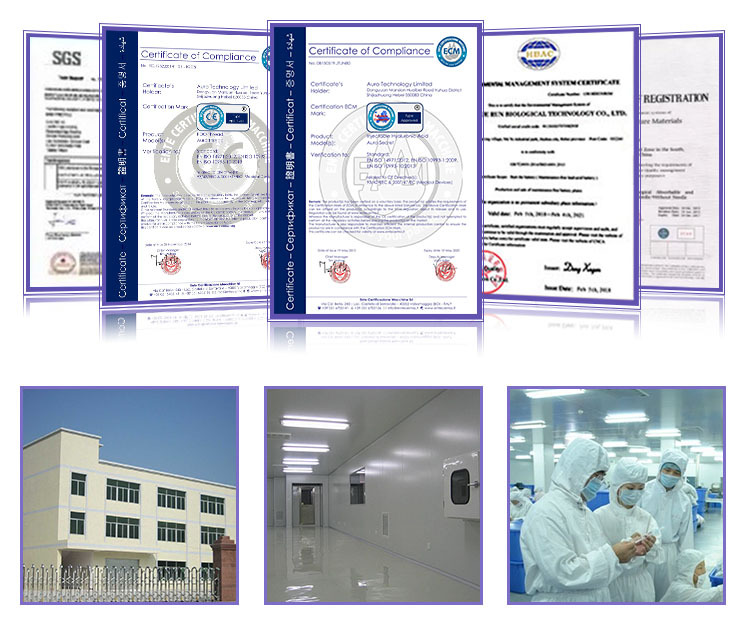 We are China Origin Factory of Medical Pdo Thread. If you have any question, please feel free to contact us.